On Friday the poker world learned of the latest innovation to hit the tournament circuit, an interesting new buy-in and payout format dubbed “Multi-Prize Pool Poker.” Multi Prize Pool Poker was developed by UK poker pro Roberto Romanello and will make its debut at the Dusk Till Dawn Poker Club in London, England on January 10, 2013. I have to admit that when I read the headline I was expecting an “innovation” something along the lines of the ISPT’s combination of live and online tournaments, or the International Poker Federation’s Duplicate Poker, but reading further into Multi Prize Pool Poker the idea seems plausible and is probably the best innovation to hit the poker world since Rush Poker. 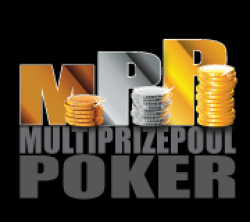 So, what is Multi Prize Pool Poker? The game basically boils down to the buy-in amount and the prize-structure, as it allows players to make three successively larger buy-ins, with each tier allowing the player to compete for that percentage of the prize pool. In its simplest terms, Multi Prize Pool Poker can best be described by thinking of it like a cash game where you have side pots. For instance, a Multi Prize Pool tournament could have buy-in levels of $100, $200, and $300. A player can choose to buy-in to tier 1 for $100; they could buy-in to the first two tiers for $300; or they could buy into all three tiers by ponying-up $600. The tier or tiers a player buys into determines what percentage of the prize-pool they are eligible to receive. If the first tier in the above example received 100 entrants, all 100 entrants are eligible for the $10,000 prize-pool. If 50 of those players also bought into tier 2 only those 50 players would be eligible for the $5,000 prize-pool of tier 2 (which is on top of the $10,000 prize-pool). Finally, if a further 10 of these players decided to buy into the third tier they alone would be eligible for the additional $1,000 in prize money up for grabs in tier 3. What makes Multi Prize Pool Poker so interesting is that there would essentially be a 10-man Sit & Go inside of the larger tournament, as well as a 50-player tournament; meaning more bubbles and more chances to cash in the event. If the winner of the tournament only registered for the first tier they are only eligible for that part of the prize-pool (essentially the Main Pot using our cash game example). If he registered for all three he would win the first place prize amount from all three tiers: $10,000, $5,000, and $1,000. If a player who registered for all three tiers finished second he would win the top prize from $5,000 and $1,000 prize-pools. If the runner-up only registered for Tier 1 and Tier 2, Tier 3’s top prize would still be up for grabs to the highest finisher of the 10 players who registered for that level. As you can see, the possibilities for this format are endless, and it offers pros a better chance to cash (although they will have to pay more) without giving them an edge like reentry tournaments offer. I’m actually excited for the Multi Prize Pool Poker debut in January, eagerly anticipating the poker community’s reaction to the innovative format.